A recent poll has revealed that the polling gap between Prabowo Subianto and Joko “Jokowi” Widodo has narrowed, despite a large number of undecided voters. 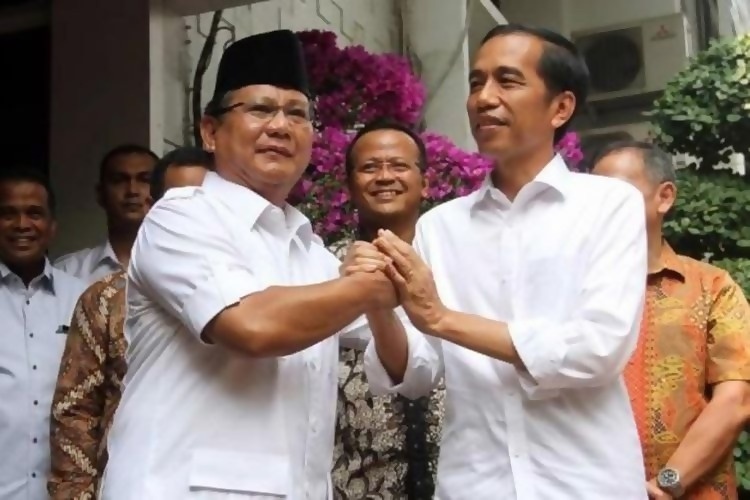 A survey by Jakarta-based Voxpol Center Research and Consulting, published on Tuesday, has revealed that Jokowi and Ma’ruf Amin have an electability rating of 48.8 per cent, while Prabowo and Sandiaga Uno’s electability is estimated to be at 43.3 per cent, giving the incumbent president a 5.5 per cent lead. Voxpol, who surveyed 1,600 people between 18th March and 1st April, revealed that 7.9 per cent of voters still haven’t decided on who they will choose for president. The survey has an estimated margin of error of 2.45 per cent. Voxpol’s executive director, Pangi Syarwi Chaniago said that undecided voters will play a major role in the 2019 presidential election, and they might be able to change the political scene in the future as well. However, it was also revealed that the undecided votes would most likely be split equally between the two camps. “Both candidate pairs and their teams must work hard to seize the opportunity,” Pangi commented. He also referred to the Bradley effect – a theory named after former Los Angeles mayor Tom Bradley. He was an African-American who lost the 1982 California governor’s race despite being ahead in most polls before the election. “He lost because many white people did not want to be considered racist during the survey. Respondents were dishonest during the survey,” Pangi explained. The survey also revealed that 27.9 per cent of the undecided voters had responded that they would make a decision at the voting booth itself. Some voters also expressed their desire to wait until the last presidential debate to make a decision. Voxpol also found that 54.7 per cent of Indonesians were satisfied with Jokowi’s government, mainly due to the infrastructure projects he instigated. However, Pangi added that this does not imply Jokowi would be safe. “There is a theory, recognised by pollsters, which says that if the satisfaction level is below 70 per cent, and electability is below 60 per cent, it is difficult for the incumbent to be reelected. There should be a breakthrough in boosting votes,” Pangi concluded.